Understanding the importance of being a highly effective board Chair. Understanding what it takes to be an effective Chair. Clarity on the Chair's roles and responsibilities. 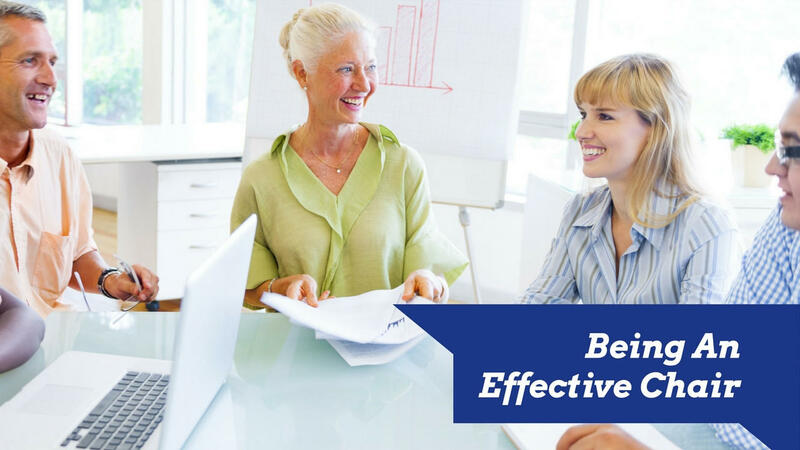 Understand the keys of effective meeting leadership. Knowledge and confidence in the rights you have in your role as Chair. This module comes with easy-to-access information video (27:27 minutes in length) and workbook.